Indoor plants bring style, colour and life to a workspace. With the right plants and planters, you can create a vibrant space for customers and staff to enjoy. 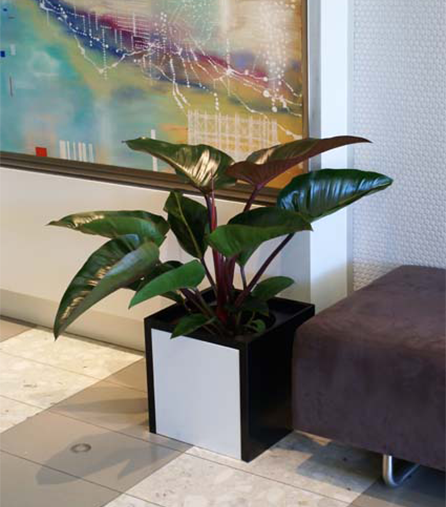 But transporting and installing plants into an office can be time-consuming and disruptive. Plants can be delicate and awkward to move from the nursery to the office. Once on site, installation involves potting and moving heavy containers without causing mess, spills and leaks. There’s also an increased risk of manual handling or chemical accidents. 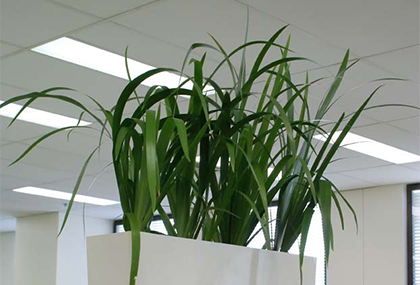 At Prestigious Plantscapes, we offer a complete solution for indoor plant hire in Brisbane. We not only design your custom plantscape, we do all the hard installation work for you. And our experienced plantscapers will continue to maintain your plants, taking the ongoing hassle off your hands. Many indoor plant companies charge thousands of dollars for set-up and installation. We’re proud to provide free installation for our plantscape projects. We work flexibly around your schedule to minimise disruption. Our installation team is discreet and efficient, carrying out the job with no fuss. We problem-solve access and timing restrictions in advance to deliver your project smooth and on time. And if you need installation after hours, we can arrange it. The environmental conditions in a space can affect the health of your plants. A change in room temperature, air circulation and humidity can cause plant stress. Our qualified technicians know how to best use and layout plants in an indoor environment, saving you costly replacements. Our team takes every precaution to protect your floors and furniture during installation. Any dirt or debris is cleared away before we leave. We also guarantee that all our containers are 100% waterproof, preventing leakage. We only use the highest quality plants to help your space flourish. Quality products will ensure the health and longevity of your plants. We use a temperature-controlled vehicle to ensure your arrangement arrives in perfect condition. And if any plants fail to meet our high standards, we will replace them at no charge. Plant installation can be dangerous without the correct equipment and manpower. We have the equipment and resources needed to get the job done right. Our team select and secure pots so they’re safe for the room’s particular use and foot traffic. We also ensure safe access for routine maintenance. As part of the Prestigious Plantscape service, we’ll continue to take care of your plants long term. We schedule regular visits for a plant technician to water, fertilise, prune and treat your plants for pests and diseases. If any of the plants are unwell or deteriorating, we’ll replace them for you. Trust our experienced installation crew to deliver and install your plantscape.